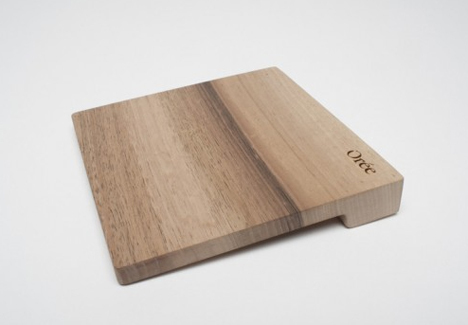 Wood probably isn’t the first material that you associate with your computer, but Orée‘s wooden Touch Slab is a beautifully organic way to navigate mouse-free. Each Touch Slab is made from a single piece of wood. It is hollowed out and equipped with a capacitive sensor and circuit board on the inside. The side is then sealed up with a thin piece of the same wood and the finished product looks just like a natural slab of wood. 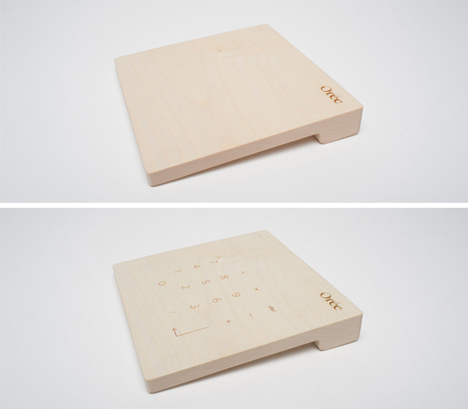 The wooden slab comes in maple or walnut wood and can be sent to you plain – just a piece of wood with the Orée logo in the corner – or engraved with a numeric keypad. A simple gesture is all it takes to switch between touch pad and keypad. 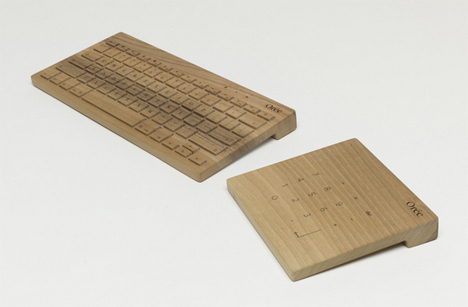 The Touch Slab is accompanied by Orée’s wooden keyboard, another anachronistic piece of computer hardware. Both work with Mac or Windows and connect with your computer via Bluetooth. Both devices start out at €150 (just over $200 US), so you’ve got to be pretty committed to the organic look to outfit your desk with these beauties. See more in Computers or under Gadgets. June, 2014.